In the industry of trailering, people who work as hauliers and are entrusted with the job of towing wrecked vehicles or brand new cars, are often undermined by many. There are a lot of people who think that their job is same as others in the field of towing. However, it is very important for us to understand that car trailer hauliers provide a very essential service by performing a prodigious task. They possess a vast wealth of skills and apply those effectively in order to haul automobiles in a safe and steady manner. Individuals who work as professionals hauliers of car trailers have to undergo a lot of training prior to being hired. During their training, they are taught many different skills as stated by the description of their job. This is because the task that they are assigned with is inevitably risky, and things can go south quickly if a trailering equipment is not maneuvered properly by observing necessary security & safety issues. For someone working in the trailering & towing industry, tackling various kinds of issues resulting from working late at night for long hours is something very common, In fact, most experts have to keep their eyes wide open even when sleepy, and haul through rough conditions on the road. In order to cope with grogginess and fatigue, they maintain a low temperature of the vehicle and drink coffee. 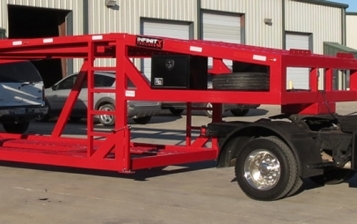 The job of hauling car trailers usually provides an individual with various types of driving experiences. To put it simply, the person has to drive vehicles of various makes & models. Sometimes, he or she may even get to maneuver automobiles that have not been released into the market yet. In general, car trailer hauliers follow different methods to maintain composure while driving. Among their favorites are listening to loud music on the radio, singing to stay focused on the road and so on. Some even play games in their mind with things that they spot on the road throughout their journey. 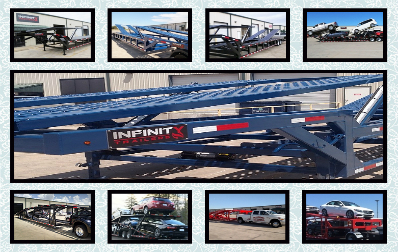 If you are a hardworking haulier and looking for a heavy-duty & durable car trailer for work, then look no further than Infinity Trailers. 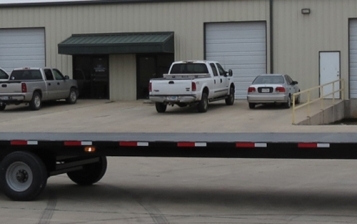 We have got a wide variety of 4, 5 and 6 car trailers that you can choose from. For more posts like this, stay connected to our dedicated blog space.